The aim of this book is to impart knowledge and experience of billiards and snooker techniques that will enable the reader to improve his/her standard of play, regardless of present ability. This 114 page book, which is printed in full colour on quality satin paper, contains nine chapters. The first is designed to help the reader analyse and understand their current stance and technique. Knowledge of this will enable them to discover how to improve and maintain a technique that best suits their physical build. This is a key factor to consistency and improvement in play. The next chapter explains how to determine the potting angle. Chapters three, four & five explain the use of various forms of spin (off-centre striking) along with the benefits and pitfalls. Chapter six is all about snookers, safety play, doubles and bridging techniques when in difficult situations. The final three chapters advise on methods of Practice, Routines, Match tactics and General Advice. 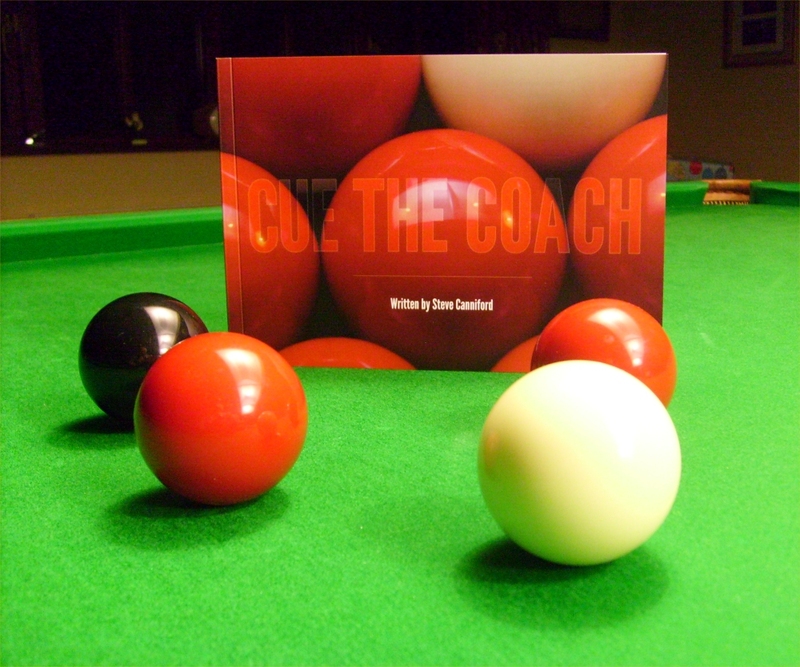 Most chapters include additional information regarding etiquette, tips, trick shots and practice set ups that will help with mastering control of your cue and the cue ball. The author has been a student of both Billiards and Snooker for more than 45 years during which time he has acquired knowledge through self discovery of his own play and the observation of players of all standards and abilities. In addition to this during the past 25 years he has advanced his knowledge as a Billiards & Snooker Coach undertaking over 4000 hours of coaching. Whether you are a complete novice playing just for fun, or an accomplished snooker player striving to reach the top, you will find that more enjoyment can be had from improving your game. This informative book will help you understand some of the mysteries of snooker.